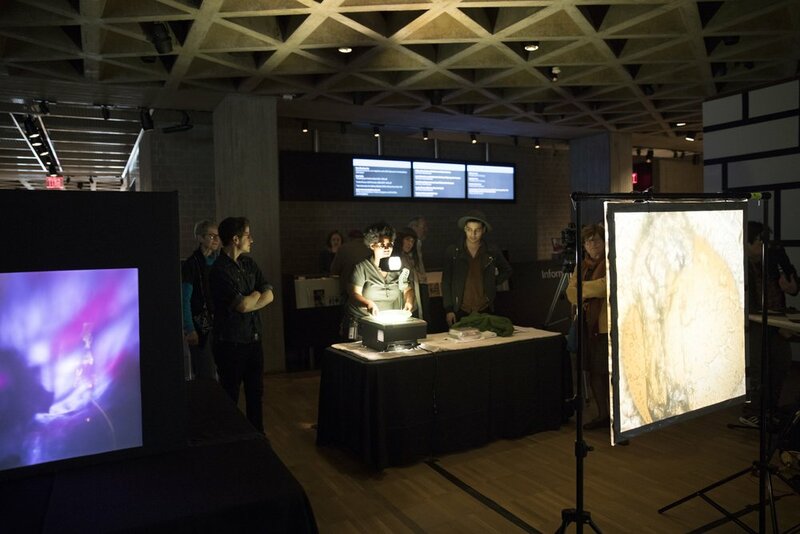 The 2015 LUX Festival brought together Yale faculty and students in collaborative projection design on the facade of the Bienecke Library at Yale University. Projection design workshop at the Center for Collaborative Arts and Media, Fall 2017. Multimedia performance in collaboration with Jack Vees, Paul Schick, Natalie Westbrook, and the Sandbox Percussion Quartet at the Yale Center for Collaborative Arts and Media, Spring 2018. Wayang shadow puppet workshop in collaboration with the Yale School of Drama Projection Design program and the Center for Collaborative Arts and Media, Fall 2017. Spring 2017 collaboration between Yale University Art Gallery, the Center for Collaborative Arts and Media (Digital Media Center for the Arts), and Yale School of Drama’s Projection Design program. Content designed in dialog with the gallery’s Thomas Wilfred exhibition, curated by Keely Orgeman.